Here at imperium esports we strive to make lower elo players the best that can be! With over 30 combined years of org experience, regulated scheduled practices, and coaching staff and working staff, we are here for the players and only for the players!!! Our goals are to get YOU as far in this game as we can and make sure you are learning and enjoying yourself along the way! We want to go far and take you along with us! We have been around for 4 years and we are still taling leaps and bounds!! 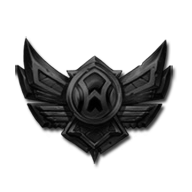 We are taking lower elo players of all roles and will cross train you roles if need be! Come on over and enjoy the imperium experience! Feel free to message me on here! To apply and I will reply back within 8 hours!